The key to success at any car show is sunshine-plenty of sunshine to be exact. 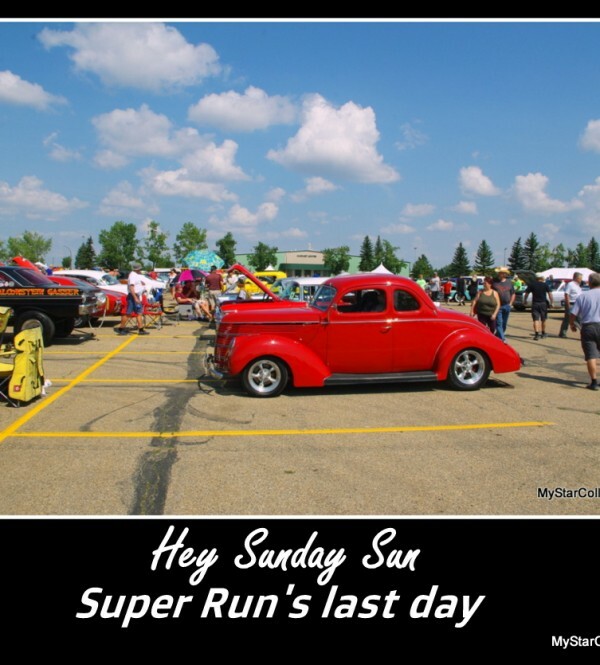 The last day of the 2018 Rock’n Red Deer had plenty of sunshine this past Sunday and the result was a large turnout of cool rides and people. 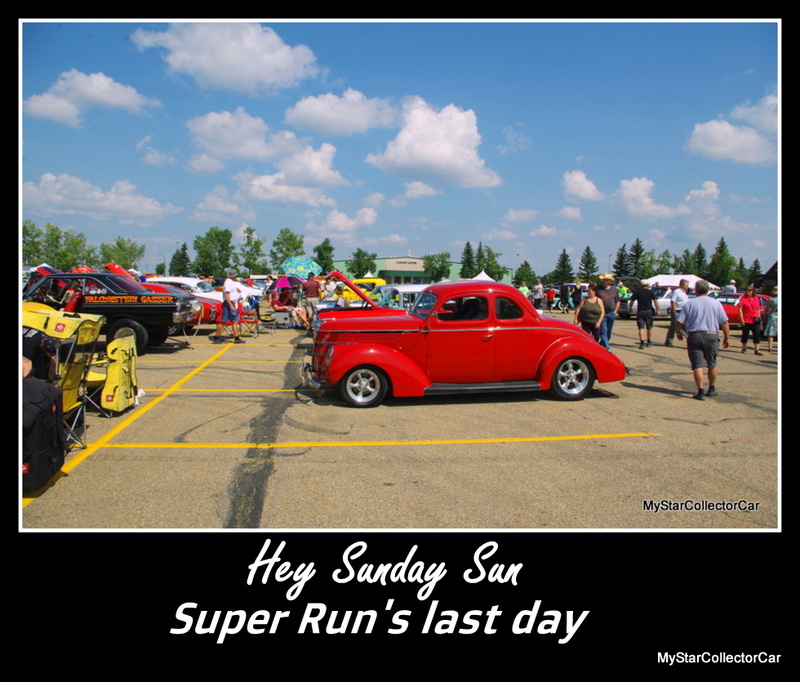 MyStarCollectorCar was able to connect with the owners of some vehicles that got our attention in a big way during the Super Run. 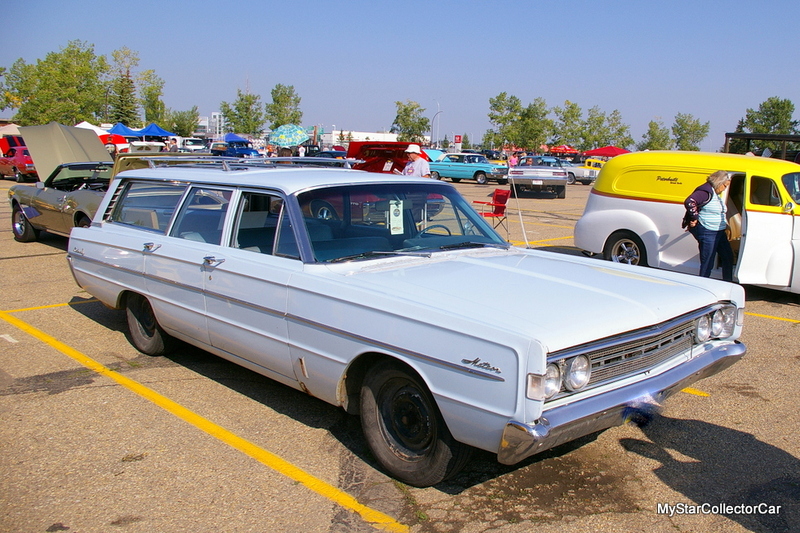 A 1966 Meteor Rideau 500 station wagon had quite a history as an unrestored survivor from the Sensational Sixties. The name of this Canadian-only car may be unfamiliar to people who were not born in Canada-or too young to remember an automotive era when Canada and the United States built separate models. The full story behind this very cool Ford of Canada wagon will be found in a future MyStarCollectorCar article. There were several other Canadian-only vehicles was at the show. One of them was a 1956 Mercury M-100 ½ ton truck was massaged into one of the coolest resto mod builds we have encountered in 2018. The mini-truck beside it was also part of the package and both will be part of a future MyStar piece. 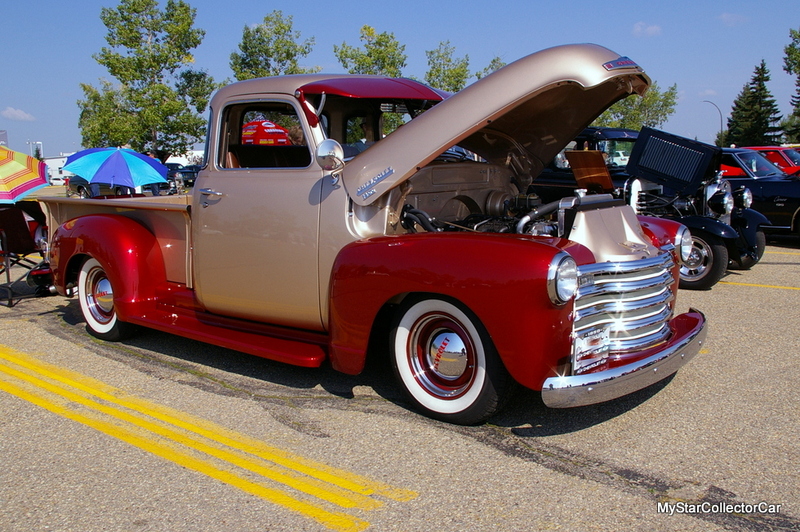 A 1950 Chevy 1300 ½ ton custom pickup had traveled from Canada’s West Coast and through the Rocky Mountains to attend the Rock’n Red Deer show. The owners drove the truck- even though they just put the truck on the road in late April. 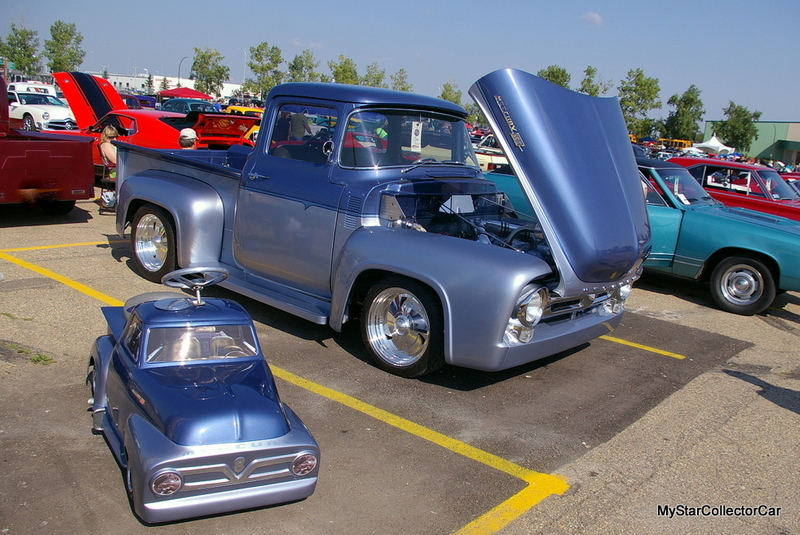 The degree of excellence was obvious the build process and MyStarCollectorCar was able to get the full story behind the Chevy pickup for a future article. There is no typo in the model year when MyStar includes a 1942 Ford custom convertible in our list of stories. 1942 was a partial year for Ford’s civilian automotive manufacturing program and ended in February of that same year. 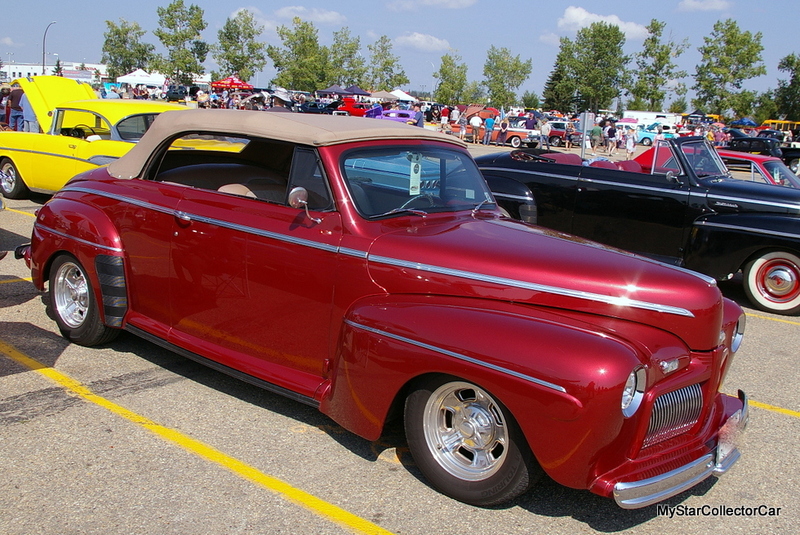 This ’42 Ford convertible just got in under the wire and was rebuilt as a custom ride because there were many factors in the build process-including major rust issues. Find out how its owner was able to create one of the coolest World War Two-era Fords on the planet in a future MyStarCollectorCar piece. Another Canuck-only car left the Canadian GM Pontiac factory in beast mode. 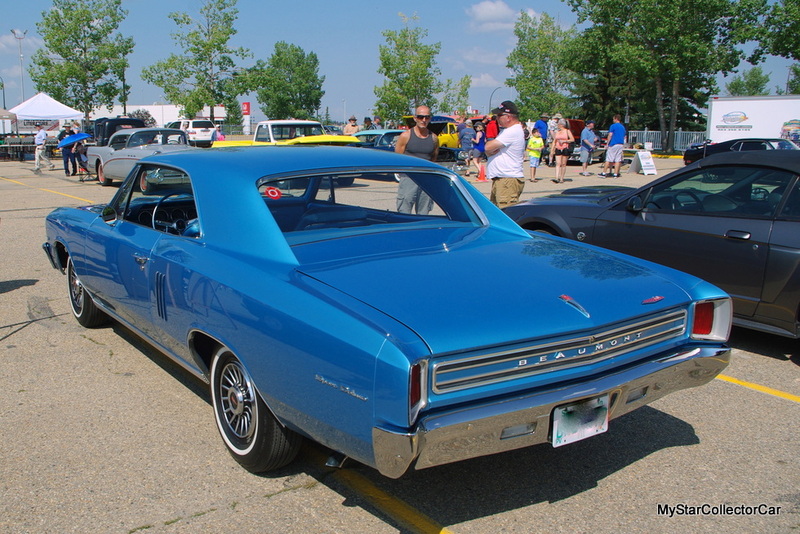 The car in question was a 1967 Beaumont SD 396 and it was a made-in-Canada counterpart to the famous Chevelle SS 396. Find out all you need to know about this extraordinary Canadian muscle car in a future MSCC article. Another Canadian icon-–TV’s Buffalo Joe McBryan was there with his Monarch convertible and his best friend. 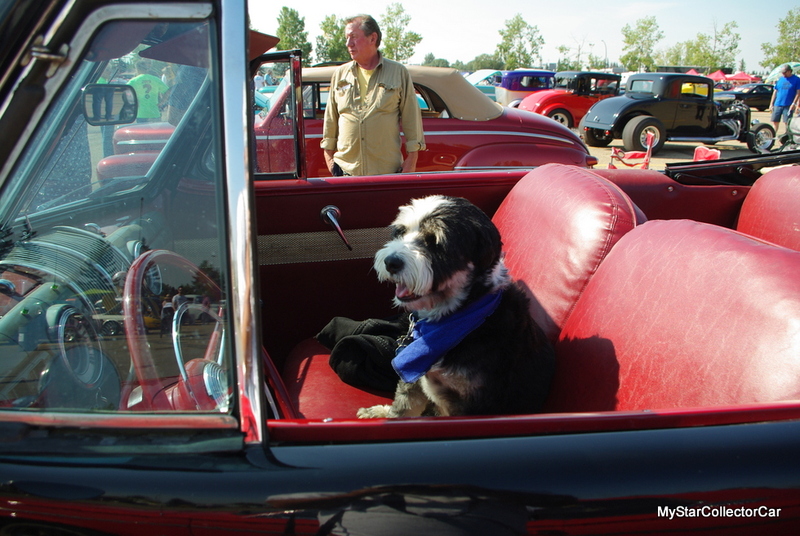 Look for the dog and the car in a future MyStar owner’s story. 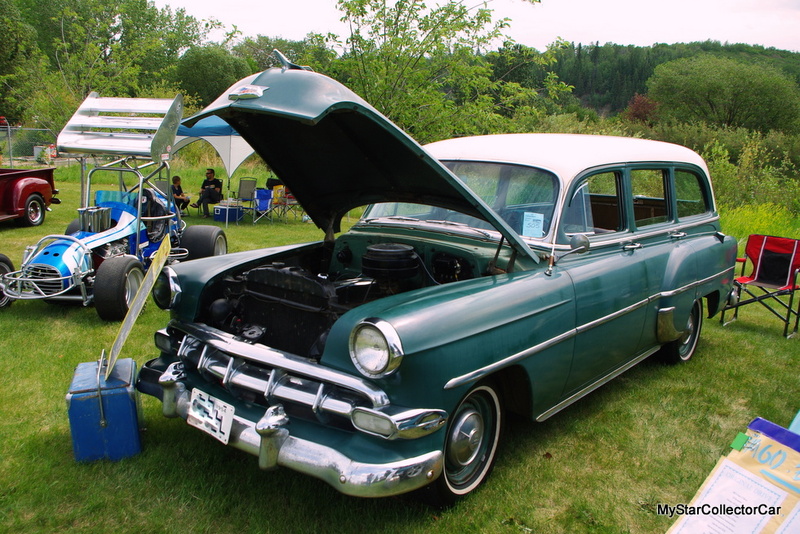 A 1954 Chevy station wagon in original condition also caught our attention at the Rock’n Red Deer show and MyStar was able to connect with its owner. She was able to fill in the blanks about her wagon so we will be able to provide a future story for our MyStarCollectorCar readers. 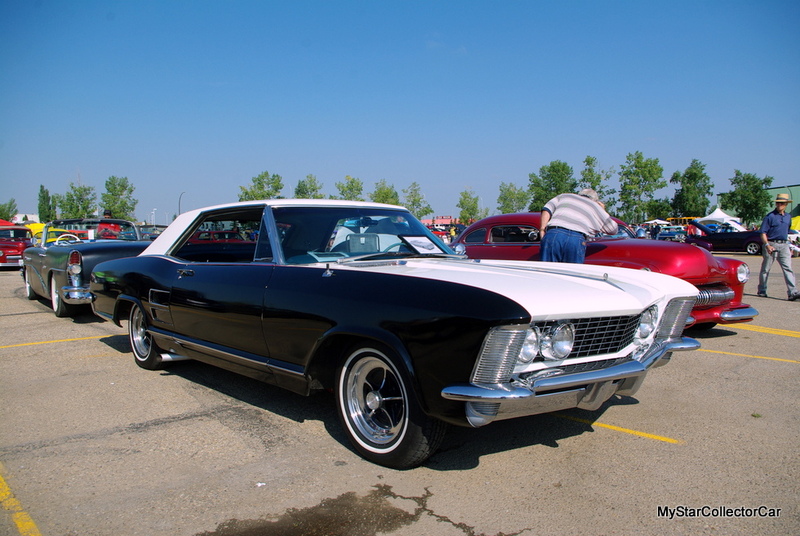 A young woman who owns a 1963 Buick Riviera was also able to tell the story behind her very cool car and this licensed automotive technician will share her experience with our readers in a future MSCC article. Spoiler alert–this Riv is in great hands. 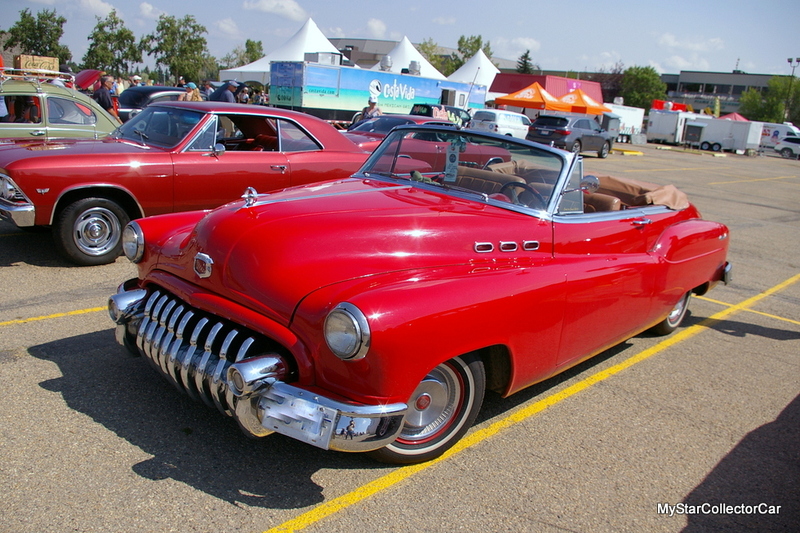 There was a big back story to a 1950 Buick Super resto-mod convertible at the show- and it’s a story that MyStarCollectorCar will share with our readers in a future piece. Here’s an early preview: the Buick’s owner has logged tens of thousands of miles (and had many road adventures) behind the wheel of his 68-year-old Buick. 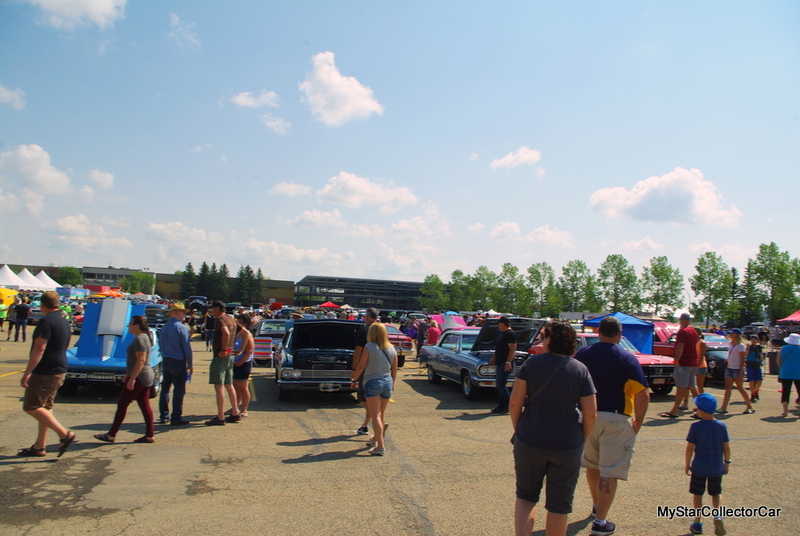 The 2018 version of the Rock’n Red Deer had everything during its 6 day run and MyStarCollectorCar was fortunate enough to be along for the ride for this event. Thanks to the organizers and all the owners for the stories and memories.